Gladiolus is derived from the Latin word “gladium”, which means sword and is represented by Roman gladiators. The Gladiolus flower is the largest genus in the Iradaceae family, comprising of more than 260 species. 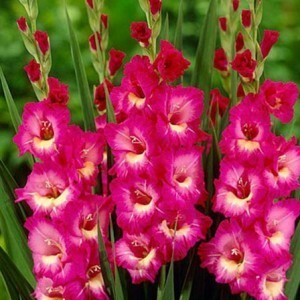 Gladiolus is native to the sub African region, and is found mainly in Tropical Africa and South Africa. It is the August birth flower and 40th wedding anniversary flower. 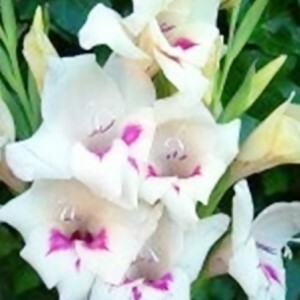 The Mediterranean and British gladiolus were used in the ancient times to treat physical ailments. 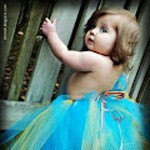 The flower signifies remembrance and infatuation, telling the receiver that he or she “pierces the heart” of the giver. This impressive flower comes in a variety of colors like blue, green, pink, white and yellow. Yellow stone is a gorgeous bright yellow bloom with a sword like foliage. This tall, impressive flower will definitely create a bright spot in your garden and flower borders. It is very easy to grow and requires proper sunlight and good drainage to thrive. Claudia is a bright crimson red flower with a yellow centre. It has a thin, short stem which bears green, strap like leaves. It blooms every year in July in fertile soil. The flower is ideal as a cut flower and is mainly used for bouquet decoration. The flower is quite hardy and does not require protection during winters. This is the most beautiful of all gladiolus flowers. Its long flower heads are lined perfectly with pure white florets. The flower is an exceptional cut flower and will make an amazing display in your drawing room. The blooms have an excellent texture. 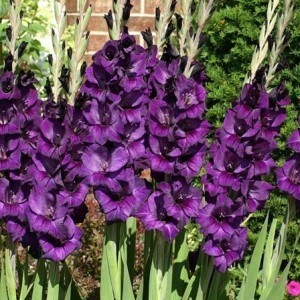 This is a hybrid variety of gladiolus and comes in a dark purple colour with lavender edges and red centre. It thrives in both direct sunlight and partly shaded loamy soil. This medium sized flower grows up to 4 feet every year in spring. It has a tall, sword like foliage with bright green leaves. Group this flower with other varieties of gladiolus to give a stunning display. 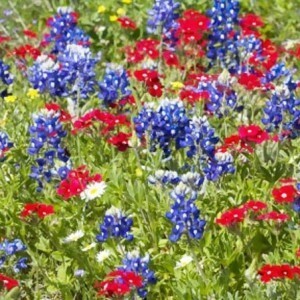 Blue Bonnet is a glossy, deep violet flower with sharp, white lines. The stem holds up to two florets on tall robust plants. Its foliage is green in colour and has a velvety texture. It blooms in full sun and stays for around 80 days. Impressive is a miniature Gladioli and is one of the most hardy gladiolus. It is a huge pink flower with brown markings. The plant bearing this flower produces 2 to 3 stems upon which five beautifully marked blooms appear. It thrives well in full sun or partial shade. 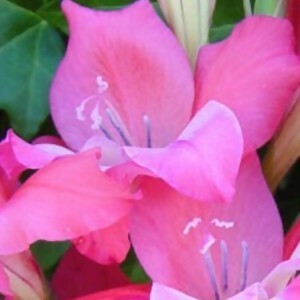 This one among the gladiolus pink flowers will look impressive in the garden as well as a cut flower. 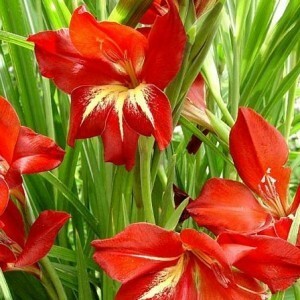 Flora gladiolus is a bright red Gladiolus with dark green foliage. It is a vigorous grower, and takes less than sixty days to bloom completely. 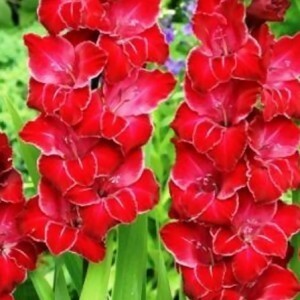 Its scientific name is Gladiolus x hortulanus ‘Flora Red’. Flora Red has long flower spikes in bright red. It blooms yearly from November to May in full sunlight. Baccara is a perennial flower with erect, sword shaped leaves. Its stately stem holds the funnel shaped red and white blooms. 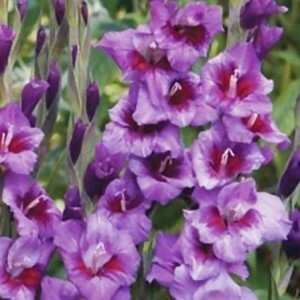 Baccara gladiolus will look amazing in gardens. Its bloom time is 60 to 100 days in partial shade. This striking variety has bold, ruffled blooms in an unusual shade of lime. 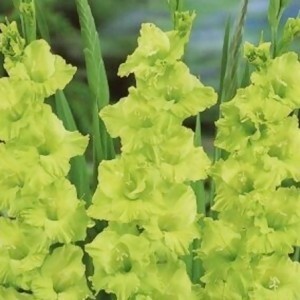 March and April are the best time for planting Green Star gladiolus. Its tall, stately stems and unusual coloring never fails to impress. Green star is very good for early season plantings. 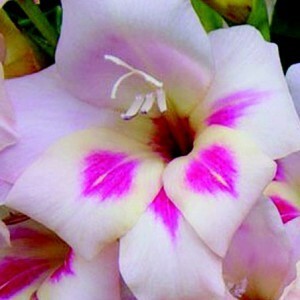 Carine is a creamy white gladiolus with purple markings at the lower end of the petals. 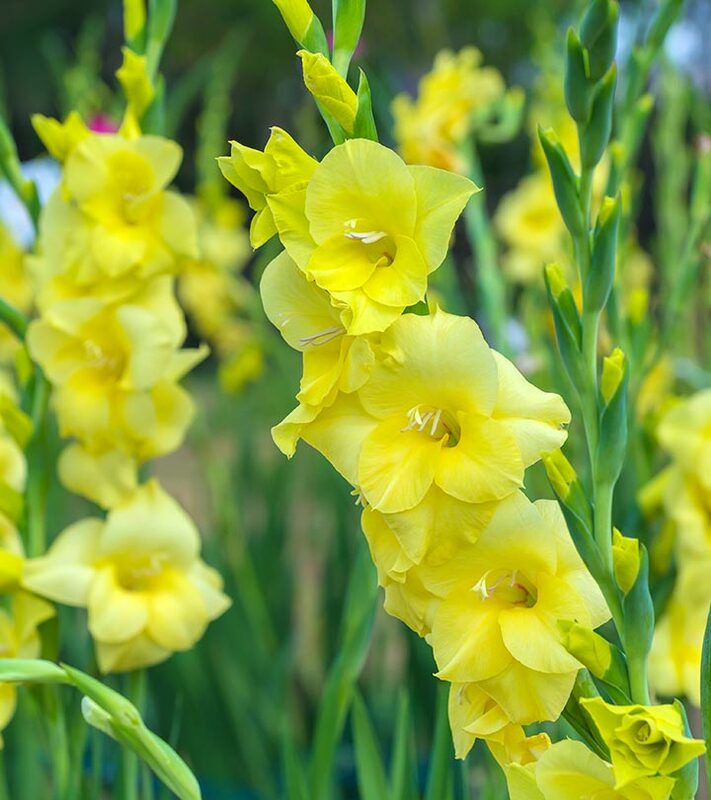 It is one of the most popular varieties of gladiolus, ideal for growing in groups in the garden. The flowers are shaped like trumpets, and have bright green, showy leaves. 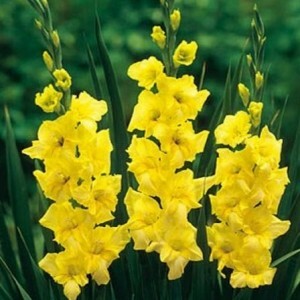 This gladiolus should be planted during late autumn, in saline soil. 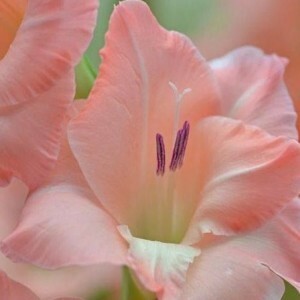 Nathalie is an upright, perennial gladiolus in soft, salmon color, with star shaped leaves and bright green foliage. Its slender stem holds 10 to 14 flowers, which are around 6 inches in height. The flower thrives best in good sunlight and well-drained soil. 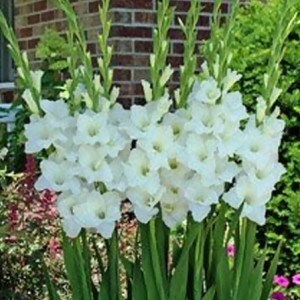 Charm is indeed a very charming hybrid variety of gladiolus. The plant bears bright magenta flowers with pale greenish-yellow throats. It is a relatively cold, hardy and early blooming gladiola that grows from bulbous corns covered with fibrous papery skin. You can plant the smaller varieties in pots and borders and can use it as a cut flower too. Charming Beauty is a perennial hardy flower and blooms every year in midsummer. The flowers are rich hot pink in color and are nicely spaced on the stem. The lower three segments have greenish yellow stripes which make an amazing contrast. The delicate foliage and shorter height of this miniature gladiolus gives it an elegant touch. It is perfect for fresh cut flower arrangements. This is undoubtedly among the most beautiful gladiolus summer flowers. 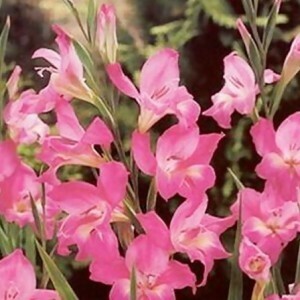 Applause is a large rosy pink colored gladiolus with tall upright spikes and green foliage. This flower is native to Africa, particularly South Africa and the Arabian Peninsula. It thrives best in well-drained soil in full sun. 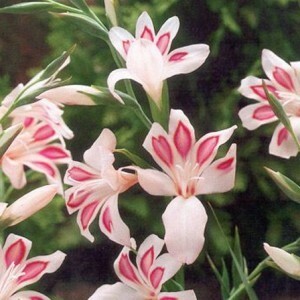 Elvira is a pale pink gladiolus with rosy red spots, which line the upright spikes of this beautiful flower. The flower has pink blotches on the lower petals and looks great as a cut flower. It is a small, hardy flower which blooms early every year. If you love gardening or flowers in general, these unique blooms will surely blow you away. 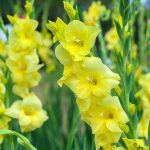 Pick any of the above, and use in your garden or parlor, or simply use them as cut flowers – the gladiola, in any form, will not fail to impress.